Unlike this time last year, things are pretty much in disarray in the Rune Hunters world. I don’t think Asura is really up for Halloween right now, so I left her out of it. 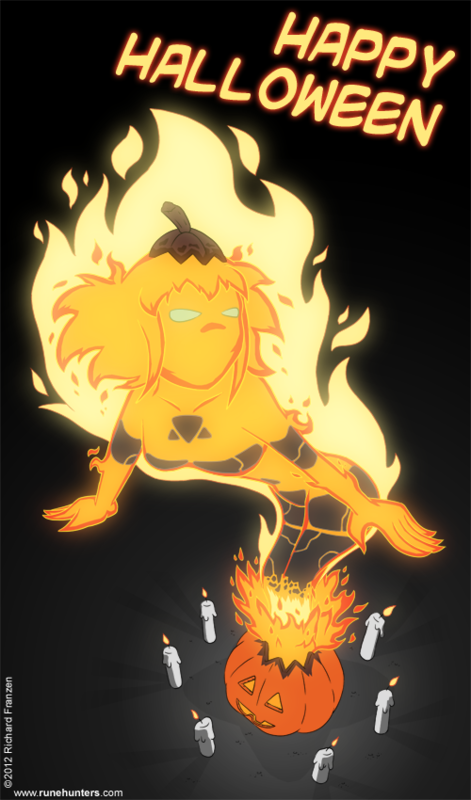 I figured Ada in her new found fiery form would be a better fit for this year. I hope you folks enjoy, and have a happy Halloween.